Yesterday, I reviewed a touching book called ROSEFLOWER CREEK by Jackie Lee Miles. It is critically acclaimed and I thought the book was very good, but I have to warn you that it will break your heart! I am so honored that Ms. Miles is visiting today with a wonderful guest post about her fabulous author friends who are known as the "Dixie Darlin's." I think you will get a glimpse into Ms. Miles writing style as well as her wonderful personality! After I got published one of the first things I did was join up with the Dixie Darlin’s, three other nationally published authors with a passion for promotion. We each have our own persona. I’m the Roseflower Darlin’, in honor of my debut novel, Roseflower Creek. Karin Gillespie is the Dollar Store Darlin’, in honor of her southern series beginning with Bet Your Bottom Dollar, followed by A Dollar Short and Dollar Daze. 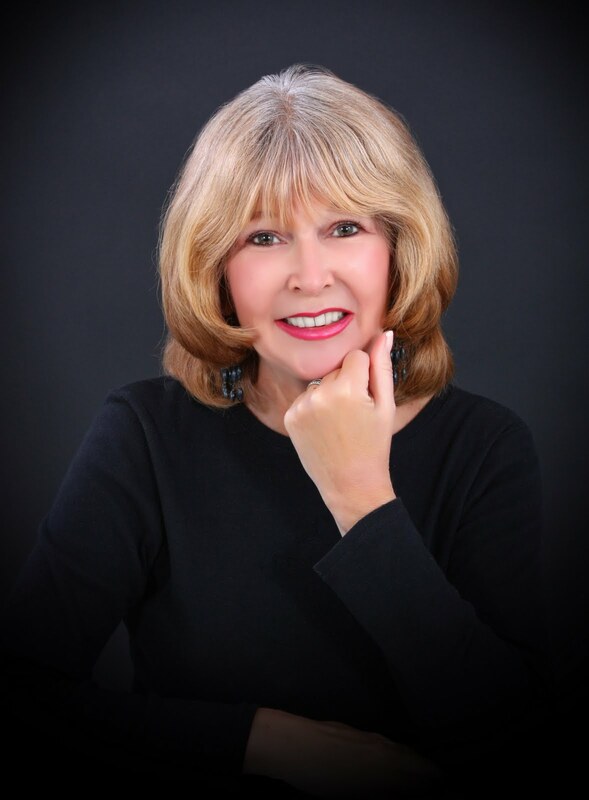 Patricia Sprinkle is our Sleuthing Darlin’ who has written more than a dozen mysteries and has recently started writing women’s fiction. Check out her debut in this category: Hold Up The Sky. It’s truly terrific. Rounding out our group is Julie Cannon, our Home Grown Tomato Queen Darlin’ who wrote a southern series featuring a delightful host of characters rooted in the deep south: (Truelove and Homegrown Tomatoes, ‘Mater Biscuit and Those Pearly Gates. We call her the Jan Karon of Georgia. She too, is now writing women’s fiction. When we first started touring we were known as the Dixie Divas, but another author copyrighted the name and we had to drop it under penalty of being sued, so now we are the Dixie Darlin’s. We gladly avoided a lawsuit. While we were still touring under the moniker of the Dixie Divas we visited a small town in South Carolina. It was a wonderful event and we had a great audience. There was even a newspaper columnist there. We were very excited and gave them a lively show. The next day we checked out of the hotel. We all share one room, so it’s pretty crowded. (We call ourselves Thelma and Louise Squared). As we were leaving, we eagerly picked up a copy of the local paper. Imagine our surprise when we found ourselves on the front page!! The headline said, The Dixie Beavers Came to Town! It even had our photo. We were so humiliated we left town without even eating breakfast. On to Florida, with a quick stop in Atlanta to entertain The Red Hat Club at their annual convention. There were three-hundred and fifty red hatters waiting to great us. We were thrilled. After our performance, we wished them all well and headed to Florida. Our first stop was at a library in Orlando. We were excited to see they’d gone all out on their advertising even including us on a local television station. However, on the night of our presentation, it started to rain. Actually, it poured. I was convinced we had a Tsunami on our hands. When we went on stage to gather around the podium, we noticed there was one lone quest in the audience. He was sound asleep on the third, fourth and fifth chair in the second row. We waited for others to show up to no avail. Eventually our hostess joined us on stage and apologized for our poor turnout and offered to reschedule us. She was standing too close to the microphone when she spoke those words and the man sleeping in the second row jumped up and gathered his things. He had three satchels he hoisted up onto his back and left without a word. So our one guest for the evening was a homeless man who never even stayed to hear our message. On to Cape Canaveral—perhaps a better audience was waiting. We got to our destination and had a good nights sleep, eagerly anticipating our next presentation the following day. We would be the featured guests at an area library surrounded by a retirement community that our host assured us were all major book lovers. Once we got to our performance, to our dismay, we discovered we had only a handful of people waiting to hear us. Regardless, we gave it our best shot and got a standing ovation. Our host got on stage and apologized for the small reception we’d received and thanked the audience for coming. Karin Gillespie, our Dollar Store Darlin’ asked who was the author, thinking maybe it was John Grisham, or some other equally famous author. The audience howled. So we were upstaged by incontinence. We continued on our journey and thankfully managed to have some good sized audiences, but we remain ever humble as one never knows! If you would like to schedule an appearance by the Dixie Darlin’s, please contact Karin Gillespie at kgillespie@knology.net. Jackie Lee Miles lives in Georgia with her husband, where she is a featured speaker at book clubs, schools, and writer’s workshops. The author of three novels, ROSEFLOWER CREEK was her first, published to critical acclaim. When not writing, Ms. Miles tours with the Dixie Darlin’s, four nationally published book-writing belles. Her next novel, ALL THAT'S TRUE, will be published by Sourcebooks Landmark in early 2011. For more information, please visit http://jlmiles.brinkster.net/. And now for the giveaway! Sourcebooks has graciously offered to giveaway two copies of ROSEFLOWER CREEK to two very lucky Booking Mama readers. To enter, just leave a comment with a valid email address -- that's it. The contest will be open until July 21st, and I will notify the winners the following day. This contest is open to those of you with U.S. and Canada mailing addresses only. Good luck! Sounds like a good one! Please enter me to win. looks like you Miles has another great book out. How ever did I miss that one. I loved this line: "So we were upstaged by incontinence." No need to enter me. Wonderful guest post today. Enjoyed it. Would love to win this book. Thanks for the chance to win - this looks good. God love 'em all. I live in Orlando and go to the library on a frequent basis, and I heard nothing about these ladies, or I would have been there with the homeless man to support them! See, darnit, this is why authors don't want to come here. I need to move to the Northeast. Down here it is all about incontinence and hemmoroids. Hi Julie, I've got this posted at Win a Book for you. I'd be thrilled to win a copy of Jackie's book. I would love to enter. It sounds great. I love a good, sad book. Thanks for the contest. I was really proud that I knew who each of the Dixie Darlin's was....please enter me! I'd love it. Thanks for the giveaway. Sounds like a wonderful read and I love the cover art...peaceful. I'm dying to read this one! Rather than an email address (I'd like to keep that private), just click on my name and comment on one of my blogs. That will trigger an email to me. Please count me in! This sounds like a great story and I enjoyed her Dixie Darlins tale. I'd like to read this one. Thanks for the giveaway. I would love to read Roseflower Creek :) *Thanks* for the giveaway! Such a pretty cover and the book sounds so interesting. Please enter me. Thanks for the giveaway and the great guest post! Sounds like a good read. Please count me in. Sounds terrific. Please count me in. My book club would love this! I would really like to read this book, it sounds like a great one. Please enter me. Thanks! Sounds a little heart wrenching, but I'd still love to read this book. Please count me in!